Totally Icky : Netflix AND Chill Really Means NETFLIX AND CHILL. Did you hear that sigh? No? Okay. Summer is upon us. Let's go to the beach. Because it's raining and cold. So to all you girls tanning on the beach! For us it's time for Netflix and Chill and yes we are gonna chill in bed with Netflix. It is based on a book. This movie never fails to make me cry, laugh and hurl things across my room. When I saw they had put it on Netflix I almost died it is gorgeous. 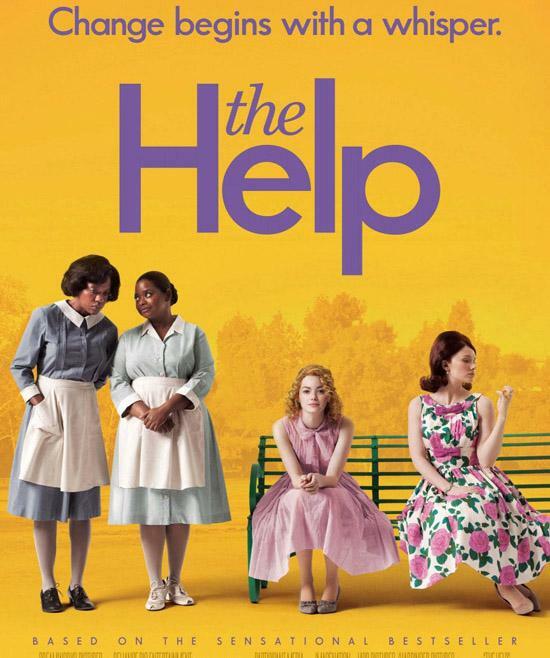 A movie about racism and how an aspiring young writer decides to write a book from the maids POV. This movie is based in 1960s during the civil rights movements. Maids or 'the help' as they called are nannies, they take care of children. Many of the maids had been taking care of the same family for years they would take care of the daughter then she would grow up and they would take care of her children. Skeeter who is played by the fabulous Emma Stone returns home from college and has goals to become a writer. She dreams big and wants to work in New York and in order to do that she has to gain experience. So she decides to write a book on The Help from their POV. She turns to Aibileen who is a maid for Mrs Leefolt. And that is where the story begins. This movie shows the struggle of people but also adds humour. It will make you cry and really think about how you treat people. It will also educate you on the civil rights movement and show you that racism was a really big problem then and still is.